The cabins in Tennessee are some of my very favorite. 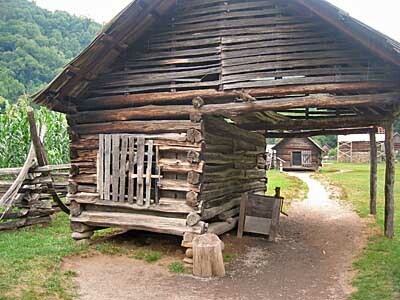 As my friend Jim and I visited the Cades Cove cabins in the Smoky Mountains, I knew I would build my own someday! A few years later I went back to these Tennessee log cabins while in the middle of building my own. So many questions I had were answered as I saw the numerous creative methods of construction and joinery used by the pioneers. Cabin location and directions, photos and/or website (if available) and most important - your notes about this cabin. What did you like about it? How was it constructed? What do you know about its history, owners and events? If you built it yourself, tell about the process and how much time and money it cost you.